People of Azerbaijan annually celebrate Constitution Day on November 12. This is a national working day, that celebrates the anniversary of adoption of the Constitution on November 12, 1995. After the collapse of the Soviet Union the government of Azerbaijan needed to draft a constitution, that would become a major legislative document of the independent country. The draft of a new constitution was adopted by popular referendum on November 12, 1995. 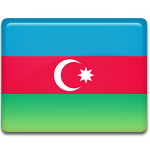 The current Constitution of Azerbaijan was amended on August, 2002 and once more on March 18, 2009. In February, 1996 President of Azerbaijan Heydar Aliev established Constitution Day as a national holiday. Annually the government of Azerbaijan organized various festive events to celebrate the holiday. In 2006 it became a working holiday, no special celebrations are organized, but people of Azerbaijan still remember and love this day, that is why they often organize their own parties and celebrations, as one more reason to meet friends.